Are you in need of some new Dynasty brushes, but can't find them in a store near you? Here is a handy list of our online retailers! Please note that these retailers may not carry our entire line of brushes, so be sure to check out all of them to find the brushes you are looking for! 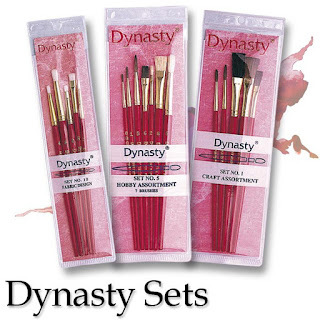 If you read the last blog post, you may know that Dynasty is rolling out some new products. 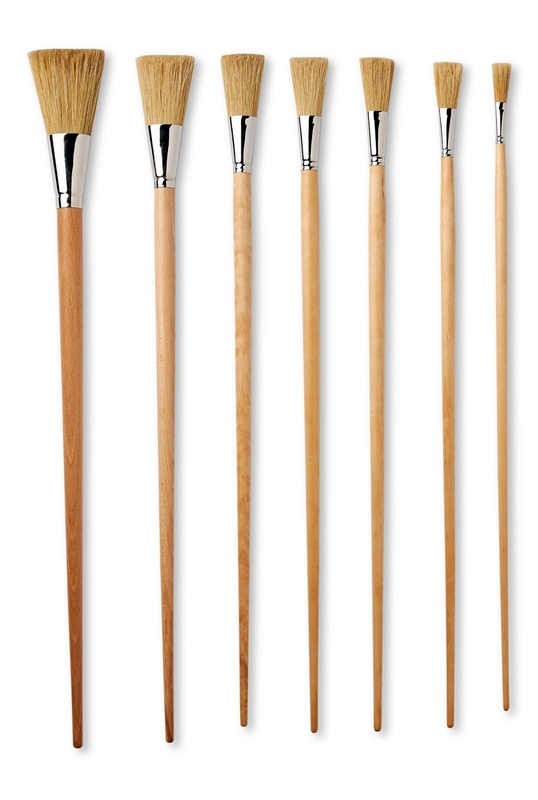 There is still a new line of brushes I have not told you about. They are sure to have a big impact. 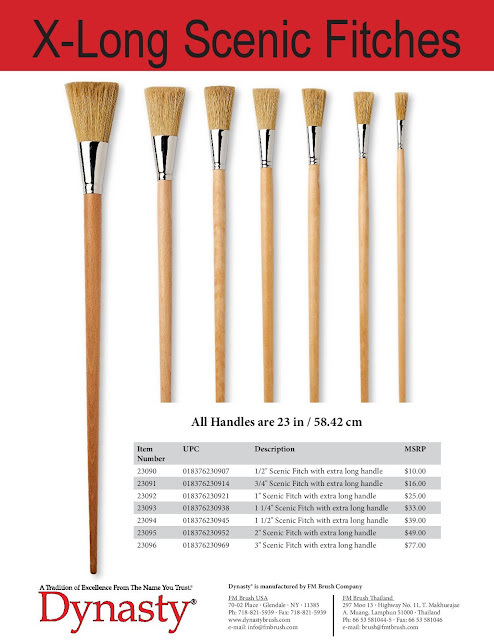 With comfort and ease of reach in mind, Dynasty Brush has released an additional line of Scenic Fitches with an extra long handle, aptly named Scenic Fitch XL. 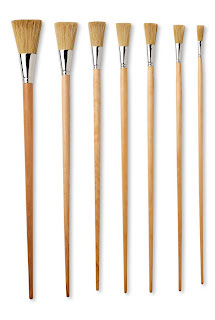 When I received the email from our main office saying that this new product was coming out, I was excited but I still did not grasp just how extra these extra long brushes were going to be. I have been a scenic artist for 16 years, so I was looking forward to another tool for my colleagues and me to work with. 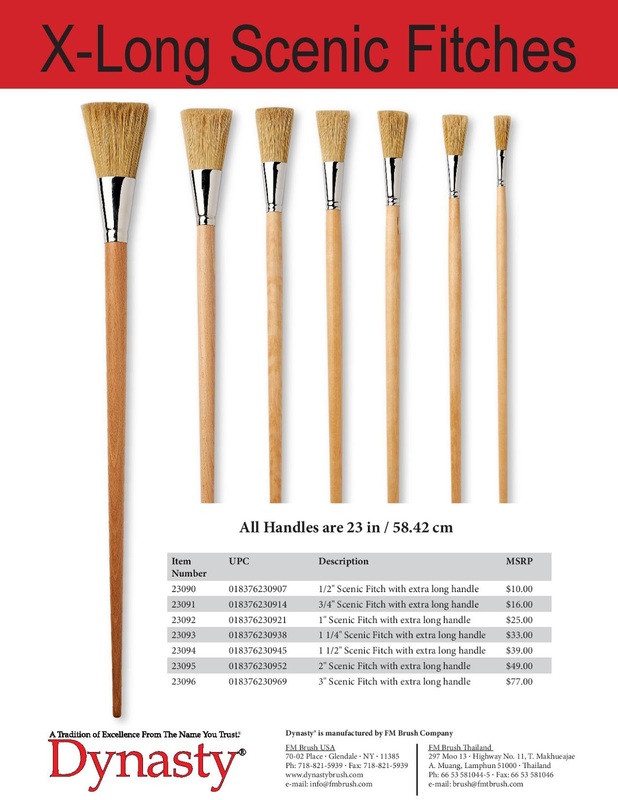 I did not really understand the magnitude of these brushes until I was sent a set to try. When the box of brushes arrived at my door, I could not believe what I was seeing. These are some seriously big brushes! My daughter is nearly four years old and these brushes are about 3/4 her size! Since I do not have a large scale painting project lined up right now, I have put some XL fitches in the hands of some scenic artists in my area. I am hoping that in a future blog post, I will have some excellent photos of these big beauties in action! Stay tuned! For more info about both of our lines of Scenic Fitches, go here. To find out where to buy, go here.